Coffee Nature: Tenleytown’s Neighborhood Coffee Shop | Tenleytown, D.C.
Posted on January 9, 2014 by Tenleytown, D.C. If you haven’t been to Coffee Nature yet, you’ve been missing out. As the saying goes, good things come in small packages. The cozy Fessenden Street coffee shop, located off Wisconsin Avenue, is just what a neighborhood coffee shop should be. Some may remember when Conie’s Cafe occupied the space a few years ago. While I enjoyed coming to Conie’s, Coffee Nature has done a much better job organizing the space, spruced up the interior with cheery green walls and attractive lighting, added some fun jazz music and serves far superior coffee and food. To be clear, Coffee Nature doesn’t have the corporate polish of a Starbucks (Tenleytown also has one of those near the Metro station) but that’s what makes it great – and is something in which Coffee Nature takes pride. It’s a genuine, neighborhood meeting spot. On a mid-morning this week, a steady flow of customers came through the coffee shop, as well as a few small groups that sat and lingered over coffee and conversation. Students from Georgetown Day School (GDS), which is around the corner, regularly stopped by for lunch or snacks, but it is by no means just a teen hangout. Pretty much every Tenleytown demographic is represented on a typical day at Coffee Nature. The coffee shop clearly has a loyal customer base, which is why it is surprising that so often when I suggest meeting there for coffee or lunch, locals are unfamiliar with it. To a person, though, after one visit, they say they will definitely be back. One of Coffee Nature’s great attributes is that it’s a place where you feel comfortable settling in for a while to read, work on a laptop (free Wi-Fi!) or catch up with a friend. Nine two-person tables and two comfy arm chairs fill the space. It’s definitely intimate, but not so cramped that those picking up take out can’t move comfortably. When the weather allows, there also is a small outdoor seating area where a dozen or so people can sit cozily. I would prefer that there were fewer racks of energy bars, candy bars and snacks as they clutter the space a bit, but would assume that they serve the high school clientele. The wall of windows at the front of the cafe let in a lot of natural light, which helps open up the small room. Currently used for storage and equipment, the space behind the three beverage coolers toward the rear of the space might offer the option for expanded seating as business continues to grow. And business looks to be moving at a steady clip. Customers rave about the coffee, brewed from PT’s Coffee. 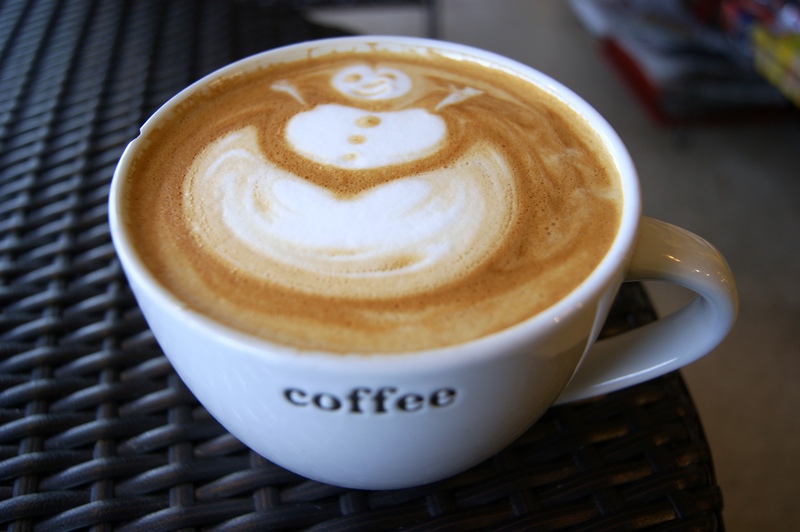 The barista has pride in his craft, and takes the time to make a truly good cup of coffee or coffee drink. Adding a touch of whimsy, he is known for his delightful coffee art. I’ve seen intricate leaves, Hello Kitty, and a smiling snowman just to name a few. And the drinks taste as good as they look. I’ve never had someone make my standard sugar-free vanilla, skim latte (yes, I’m one of THOSE people) taste so decadent. I had to double check with him a couple times to make sure he was indeed using skim rather than whole milk. I don’t know how he works his magic, but I am glad he does. My husband, who is a no nonsense, black coffee drinking kind of guy, also loves the regular brewed coffee. For those who are not coffee drinkers don’t write off Coffee Nature just yet. You are going to want to stop by for the food, which is also quite enjoyable. The breakfast sandwiches are substantial and delicious, with classic options and some Korean-inspired fare, including a Bulgogi, egg and cheese sandwich. 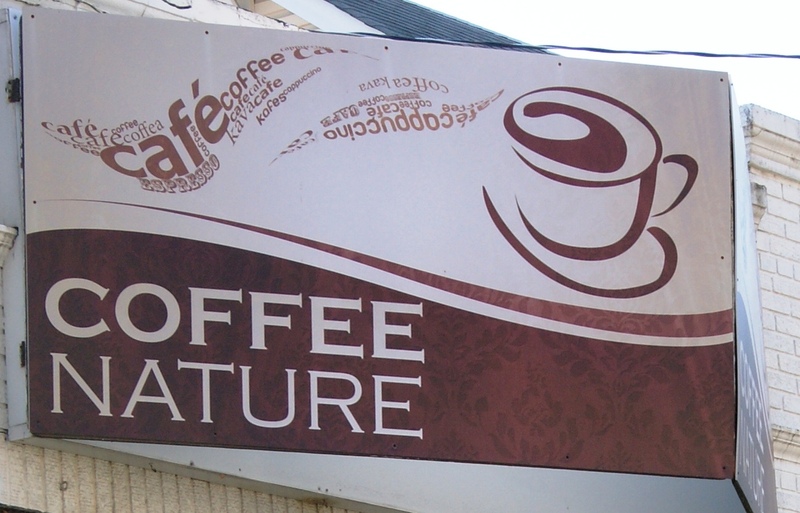 Coffee Nature also offers omelets, bagels and breakfast breads. Breakfast is served from 7 a.m. until 11 a.m. Lunch options consist of a variety of quality, homemade deli sandwiches, wraps and panini – my favorite is the Fessenden Street, which includes turkey breast, bacon, provolone, avocado, spinach and tomato. Salads, and “Gang Nam Style” Korean food, including bibimbap and barbecue, are also on the menu. The portions are ample – a sandwich could easily feed two people. As you enjoy your food and drink, don’t forget to take in the paintings and photographs by local artists that grace one wall. Among the current displays are a series of ink and watercolor paintings of sunflowers and photos of Ethiopia taken by GDS students that are on sale to benefit Project Mercy. On Fridays and Saturdays from 2 p.m. until close you can also listen to local musicians – mostly one or two person acts with a guitar and microphone. If you are a Tenleytowner who hasn’t made Coffee Nature part of your weekly routine, consider stopping by this week. You’ll be glad you gave this lively, community-oriented coffee shop a try. 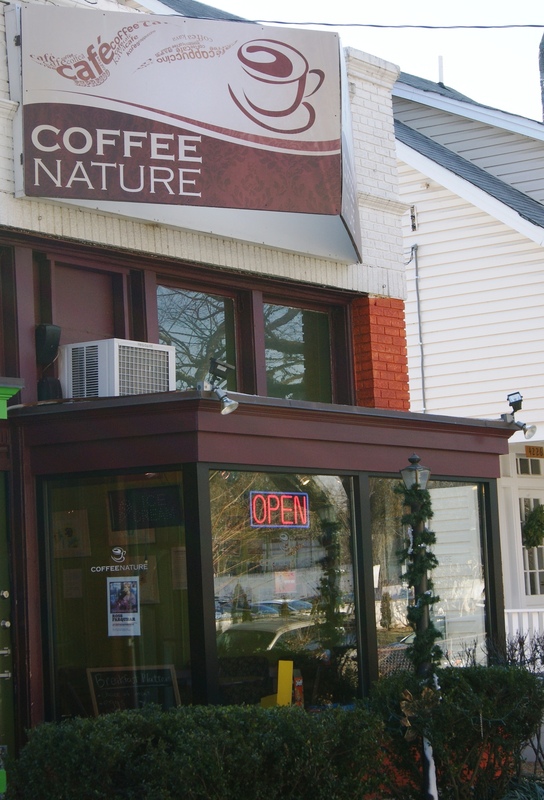 Coffee Nature is located at 4224 Fessenden Street, NW and is open Monday through Saturday from 7:00 a.m. until 7:30 p.m.